There’s no denying that a digital focus is the key to success in today’s fast-changing business world. Indeed, research suggests that companies rated highly in digital leadership boast both stronger revenue growth and greater profit margins than their peers, and another study found that their use of digital better enables them to attract new talent. 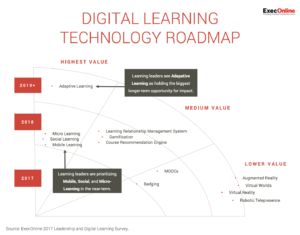 Executives also report that digital learning is more motivating, and less disruptive to their work and personal lives, than in-person learning. Progressive CLOs are seizing on this opportunity and playing a critical role in advancing the digitization of learning and development. When done right, digital learning offers significant advantages to in-person learning in terms of scale, speed, and learner engagement. Yet, most L&D functions are lagging in their digital maturity. 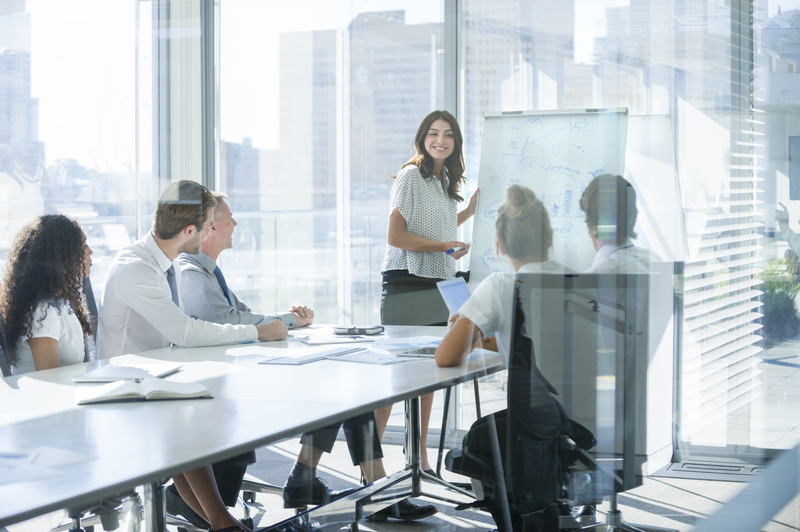 According to LinkedIn’s 2017 Workplace Learning Report, in-person classroom-style training is still the #1 way L&D professionals train employees. To find success and avoid crucial pitfalls as a Digital CLO, you need to be thoughtful and strategic in setting the course for the next generation. Crafting and executing a vision for a digital learning function can be a daunting task. Heads of L&D and HR face a rapidly changing set of technology options, making it more challenging than ever to keep pace with the development opportunities available to their employees. As exciting as the landscape of new technologies is, it also tempts leaders toward a major pitfall: getting distracted by shiny objects, losing focus on the technologies that are likely to have the biggest impact. For example, Massive Open Online Courses, known as “MOOCs,” are low-cost and popular but have notoriously low completion rates; some fell below an average of 6% in 2017. To sift through the trends and the hype, create a digital learning roadmap for your company. Instead of taking a reactive approach and proliferating the many available digital learning options, which vary in quality, identify the highest-impact technologies that are also scalable. By thinking about your end goal first and technology second, you can design a high-impact vision for not only where you want to take the learning function, but also how digital learning technologies can help get you there. For more data and insights on how you can succeed as a Digital CLO, check out a replay of our May 18th Webinar, Leadership Development in the Digital Era. To learn more about how ExecOnline can help, contact us at info@execonline.com.